This is the final part of our end of year mailer. We could not have done all the work we did without your support, so please continue to help us so we may help animals! This past summer, Canadian animal protection organizations asked SHARK to document a controversial rodeo in Montreal in August, and the St. Tite Rodeo in Quebec in September. This was a massive undertaking wherein SHARK investigators teamed up with a Canadian veterinarian to film 20 rodeo performances in 12 days, with as many as three rodeo performances in a day. One rodeo started at midnight, and didn't end until 2 o'clock in the morning! "Words cannot express my profound gratitude to you for what you have done. As our supporters know, SHARK has worked to expose rodeos and its corporate sponsors for more than two decades. No individual or organization has done more to hold rodeos accountable than SHARK, so we want to do everything we can to help the Canadians, and to see what kind of ripple effect may be felt at rodeos in the US and beyond. SHARK has a rich history of collaborating with other groups in our fight for animals. 2017 provided two opportunities for us to help Canadians fight for animals. This shows why SHARK is an animal protection organization unlike any other. We have the equipment and skills to do what has to be done, and we are ready to be there to help others. Thank you for the support you've given to make our efforts possible! This past May, SHARK was on Lake Erie with our boat, the Bob & Nancy, to document the slaughter of cormorants by the Canadian government. 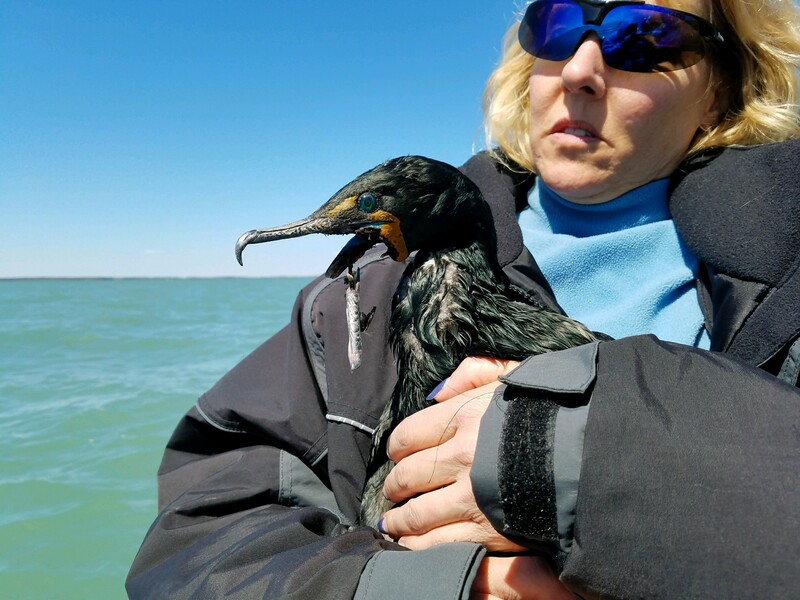 The first day we were on the lake, we rescued a cormorant that had been shot in the face and had his lower beak destroyed (above). If we had not been there, he would have slowly starved and died a horrendously cruel death. The second day we were out we encountered the government killers - and they refused to shoot while we were present. The next and last day the killers had three police boats come out with them so they could feel safe while killing the innocent cormorants sitting on their nests. 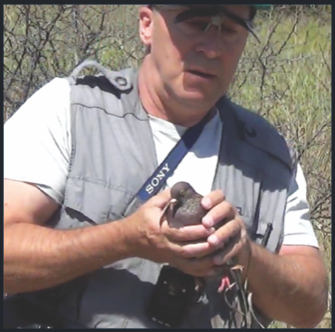 Our partners in Zoocheck, Cormorant Defenders International and Animal Alliance of Canada, told us that because we were there, there were “far fewer” birds killed than in previous years. We take that as a great compliment, for everything we do is about saving lives. • SHARK went to Cumberland, VA, to document Covance Research Products, which has an enormous compound where beagles are bred, warehoused and sold for experimentation. The video, in which you can see dogs in their cages, endlessly crying out, has been seen more than 75,000 times and has brought attention back to the issue of dogs being bred and killed for experimentation. • In May, SHARK returned to the US Meat Animal Research Center (USMARC), in Clay County, Nebraska, where we brought attention to an incredibly cruel program that leaves newborn lambs to die from exposure, hunger and predators. • In June, SHARK went undercover to film a brutal shark killing contest held in New Jersey. Sharks are amazing animals that play a vital role in our oceans, yet they are tragically slaughtered often just for fun around the world. Our video captured the plight of sharks, how their bodies were butchered and their jaws cut out for trophies and their heads discarded. • It is a tragedy when those who claim to be pro-animal instead are either scamming donors to get their money or they sell out animals by helping to pass legislation that hurts more animals. We created CharityCops.com to expose those who betray the animals we fight for. • SHARK has filmed rodeos across our country, including the notorious Cheyenne Frontier Rodeo Days in Wyoming. Thanks to the efforts of a rodeo attendee with a conscience, we were able to expose a mortally injured horse. 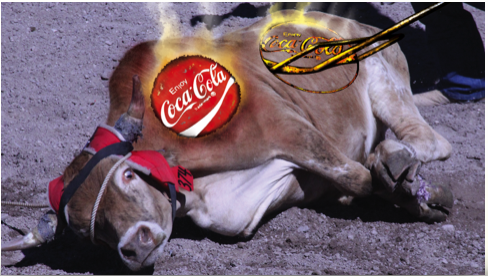 We also showed how corporations, such as Coca-Cola, enable such cruelty by continuing to sponsor rodeos. • In late 2016, we legally filmed a dog breeding farm with our drone in upstate New York called Marshall Farms. After we left, we were stopped by the State Police and local county sheriff’s department who acted as security for the company and illegally stopped our vehicle and arrested both Janet Enoch and me. We released the video of that illegal stop in early 2017 and it has received more than 2,7000,000 views. SHARK took on one of the most powerful politicians in the country and defeated him. SHARK stands against animal abusers and doesn’t back down in the face of frivolous lawsuits and acts of violence. SHARK chooses to defend animals others wouldn’t even think of such as pigeons, cormorants, animals in rodeos, and cownose rays just to name a few. SHARK score victories that save thousands of lives! The amazing thing is, all that we have shown you in this mailer (and there is more that we cannot say publicly at this time) was completed with only four regular investigators, one part-time investigator, a small number of dedicated volunteers, and a budget less than the salary of what just one executive of a large animal welfare group makes in a year. Think about that; most large groups have dozens, or hundreds of employees and rake in tens of millions of dollars, yet they do but a fraction of what we accomplish with a team you can count on one or two hands. That’s what makes SHARK so different from everyone else, and why we ask for your support. No one working with SHARK gets rich fighting for animals. We do it because it’s the right thing to do. In fact, part of the reason why SHARK was able to do as much as we have this year is because I had to raid my own retirement account for $100,000 to support SHARK this year. That’s how much I believe in this group and the work we do. If you believe in us, and want to continue to see major victories for animals year after year, then I implore you to support us with a generous donation now. I can assure you, you will see no better return for your donation than by supporting SHARK. Remember this - the lives we save, are the lives you save. • SHARK’s Youtube channel now has nearly 103,000 subscribers and over 940 videos that have been seen more than 82,600,000 times! This is how we expose animal cruelty to the world!